Gorilla Glass has invaded just about every smartphone on the market, but it’s about to get even more awesome. MIT’s Mobile Technology Summit included information on what is coming next for the world’s most amazing glass. 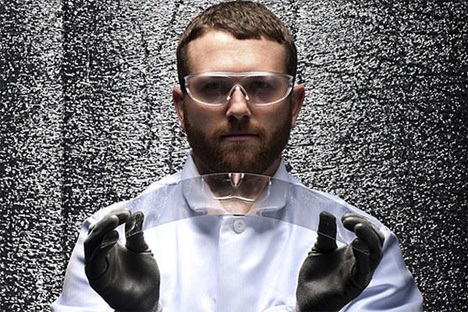 The material is already super-strong, scratch-resistant and durable, but Corning wants to make it anti-reflective and antimicrobial. 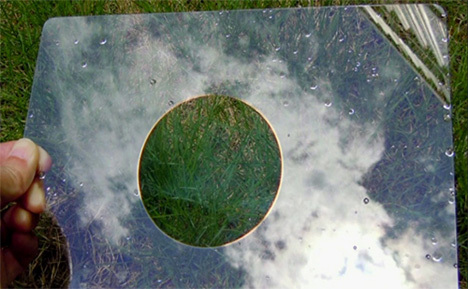 In the picture above the glass appears to be missing a large circle from the middle, but it’s actually just coated with Corning’s anti-reflective coating. Imagine being able to play games on your phone outdoors on a sunny day! 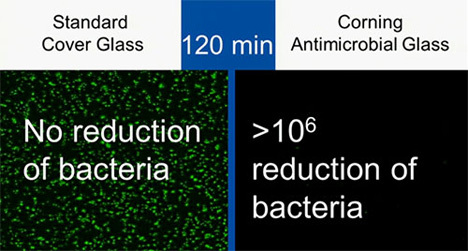 But even more exciting than the anti-glare feature is the fact that the future Gorilla Glass will also be antimicrobial. Considering that we take our smartphones literally everywhere with us – even the bathroom – it can’t be a bad idea to make the screen a little less funky germ-wise. See more in New Materials or under Science. August, 2013.